The recently opened Harambe Marketplace has a lot of food offerings. Just walking by the area is dangerous as you can be enticed inside its gate by catching of whiff of grilled meats. Of course, when you’re talking about sweets, there is a signature treat that will keep me coming back to Harambe again and again. The African Milk Tart doesn’t exactly have the most appealing name, but it is a sight and taste to behold. 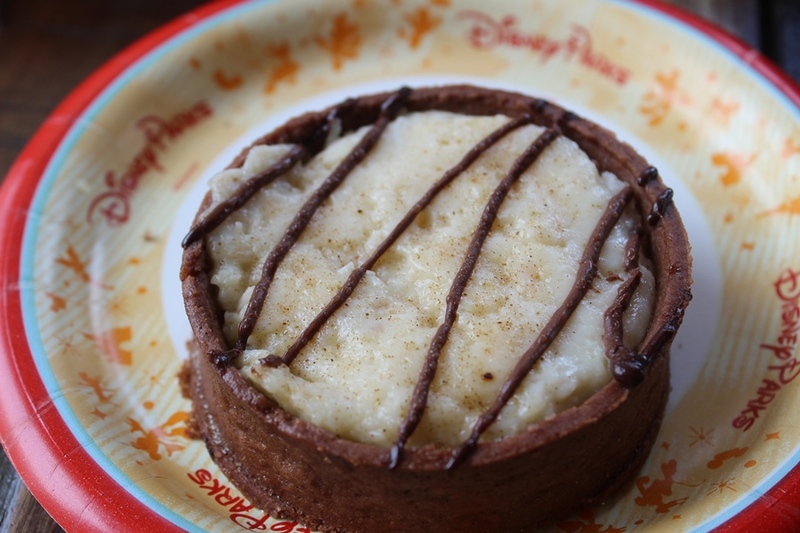 Let me start out by saying I’m not a fan of most of the tarts I find around Walt Disney World. It isn’t that they have some defect or aren’t prepared well, by all accounts they are top notch when it comes to tarts. My sticking point with them is the crust. I’m not a big fan of crust on any of my desserts; graham cracker, pie, flaky pastry, it doesn’t matter what comprises the crust I’m just not a fan. The African Milk Tart, however, has a crust that I would gladly eat all on its own. It is a chocolate crust that isn’t quite graham cracker and not quite Oreo. It is just a real simple crust with enough cocoa to give it a chocolatey flavor, but not to overwhelm the filling. What’s the filling in the African Milk Tart, you might ask? The name can be a bit misleading. While there is milk used heavily in the filling, it is coconut milk. The filling is a thick pudding consistency, with bits of coconut found in every bite. The tart is then drizzled with just a bit of chocolate and it is good to go. Think of it this way. If the Mounds candy bar were a sandwich, this would be the open-faced version of that candy sandwich. For the longest time guests trekked to Harambe for its brownies and cupcakes. Those days may not be entirely over, but there is a new favorite in town. Not overly sweet, the unique African Milk Tart may not be as adventurous as the name suggests, but it certainly ups its game in the deliciousness department. Not giving this dessert a try would be, in my opinion, would do your taste buds a disservice. 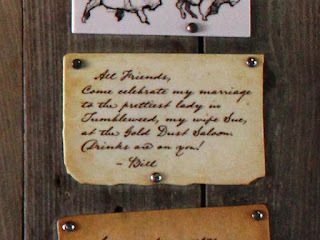 When you combine the words “extinct” and “Fort Wilderness” together, you’ll get a lot of memories that immediately pop to people’s minds. 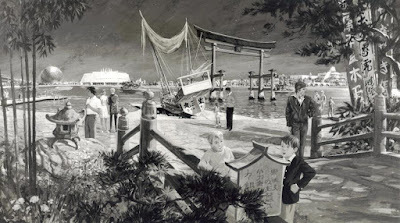 First and foremost would be the Fort Wilderness Railroad, followed there after by River Country, Discovery Island, and maybe even a few people who recall the Marshmallow Marsh. 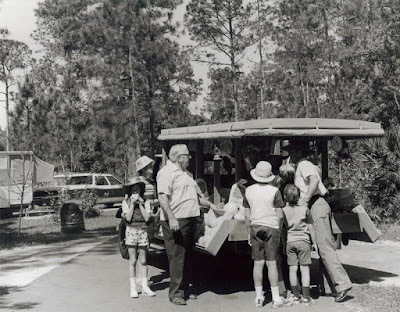 Rarely you might find someone who remembers the food delivery truck that passed through the campground loops, but those are guests who go quite a ways back with Fort Wilderness. Known as the Peddler’s Truck, it wound its way through the campground selling foodstuffs and sundries to guests who were roughing it and needed provisions to survive the wilderness. Or marshmallows to roast at the campfire… The truck was modeled after the old-fashioned peddler trucks that serviced rural areas of the country. Onboard guests could find fresh fruit and vegetables, including corn, potatoes, and melons, chips, sodas, and even charcoal for cooking. The truck was a convenience to guests who didn’t want to slog up to a trading post or, worse yet, have to leave property for camping goods, but there was also an element of story here as well. The truck announced its presence on a loop with a clanging cowbell. Think of it as an ice cream truck, but instead of children chasing it for an ice cream cone it was likely a dad clamoring after it to grab the corn he forgot to buy at the store and pack in with the family’s camping gear. 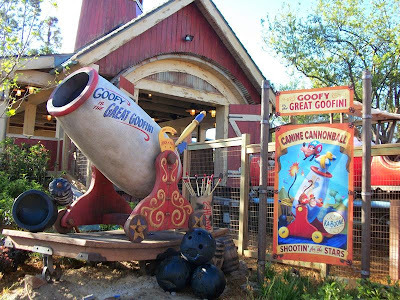 The truck may have looked old, but Disney had given it the magical touch with sound effects that made it seem as if it were barely chugging along and would occasionally backfire. 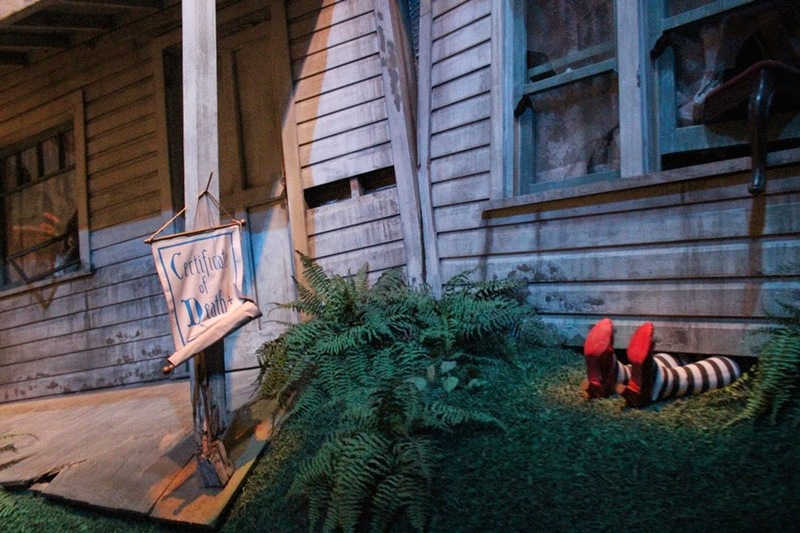 The Peddler’s Truck was a throwback to the bygone days that personified Fort Wilderness’ early identity. These days, of course, just a mention of the Peddler’s Truck is a throwback to the bygone days of Fort Wilderness itself. Although one could do worse than to venture down memory lane in a rickety sounding truck delivering fresh food to campers! This weekend gave the Walt Disney World theme park enthusiasts a lot to be excited about: Soarin’ Around the World, new details about the world of Pandora, new and expanded experiences coming to Disney’s Animal Kingdom, Skipper Canteen, and Disney’s Hollywood Studios, sans the expected name change announcement, looking forward to 25 acres of new entertainment between Toy Story and Star Wars. 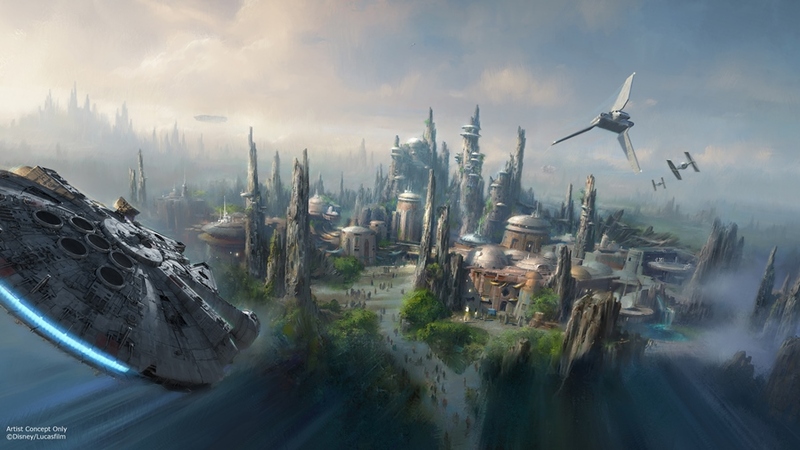 There are a lot of juicy tidbits to dig into with all of this, but let’s venture over to highly anticipated, still amazing that it’s going to be reality Star Wars land. 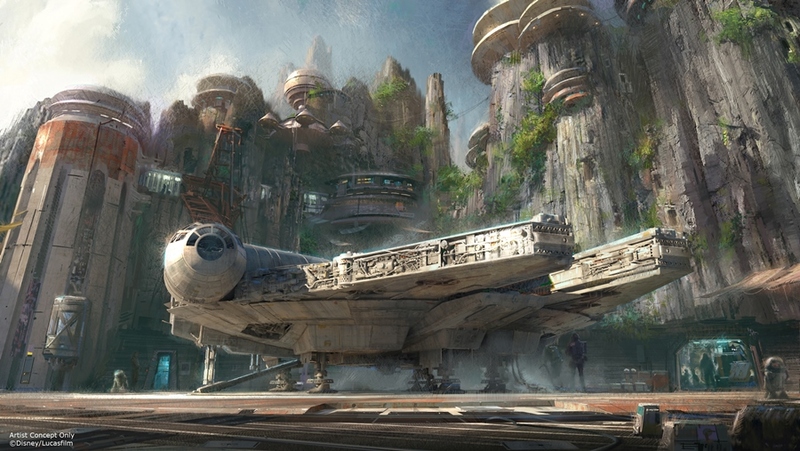 Star Wars land is actually a pair of sibling lands that are coming to Disney’s Hollywood Studios and Disneyland. I stop short of calling them twins or, more appropriately, clones, as there will likely be some different structures to how the lands are set up. Regardless, this announcement answers a lot of questions and provides just enough information to be fodder for rumor mills from now until we get further details confirmed. Let’s hope the distance between the announcement this weekend at the D23 Expo and our rendezvous with the Millennium Falcon is shorter than Han’s express trip through the Kessel Run. Until then, however, there are a plethora of things to daydream about and consider. To my mind, there is one particular detail revealed this weekend shows there is reason to believe that this land is going to be amazing and that the attention to detail is being thoroughly examined. The otherworldly spaceport that the land will inhabit is on a planet on the edge of wild space, a planet with no name that has never been visited by Star Wars before. So, why would a no name planet in a galaxy filled with wonderful, established planets be a sign that we’re on the right track? Think of the planets as attractions in Walt Disney World, there are people who love Big Thunder Mountain (Tatooine) or the Jungle Cruise (Endor), and that’s to be expected. 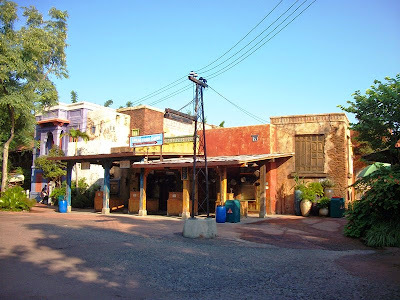 What about the person whose absolute favorite attraction is the Maharajah Jungle Trek (Vortex), because believe me every attraction has someone who believes it is the quintessential attraction and their personal favorite. If Disney had announced the spaceport on a planet already established through the films, books, comics, or television shows two things would have happened. One, you would have fans bemoaning that their favorite planet isn’t getting the respect it deserves and that whatever planet was chosen is getting more attention than it’s due. Let the Comment Wars begin. Two, if it was an established planet, then the choice of location on the planet, and the details that thread together the story of that planet would have been under every guest’s microscope. Now, you’re talking to the man who has always considered his copy of The Essential Guide to Planets and Moons to be one of the greatest Star Wars resources ever, regardless of the fact that it was released in 1998. You would think that not seeing one of those planets would hurt, but the fact that we get to discover a new planet together, and that it will be a tactile experience, is thrilling for me. 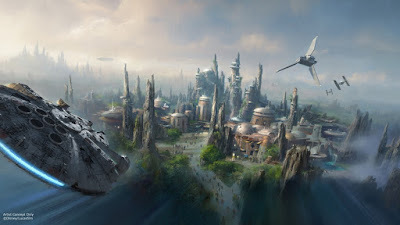 The imagineers get to instill this planet with all the things that make Star Wars incredible, and do it with the wit, flair, and attention to detail Imagineering is known for. There was blue milk in the cantina concept art for goodness sakes! We have years to pour over the scant details we’ll be provided between this past weekend’s announcement and when the land officially opens. Aerial photographs, peaks between construction walls, brief attraction descriptions, and more concept art will come as time goes on. For now, however, we get to dream of an undiscovered planet far, far away, a planet filled with new surprises, creatures, and stories, that we’re all racing towards together. How exciting is that? This is the week fans of all things Disney have waited two years for, the D23 Expo. If you happen to have a particular interest in Disney’s Hollywood Studios, then you’ve been waiting with even more baited breath. 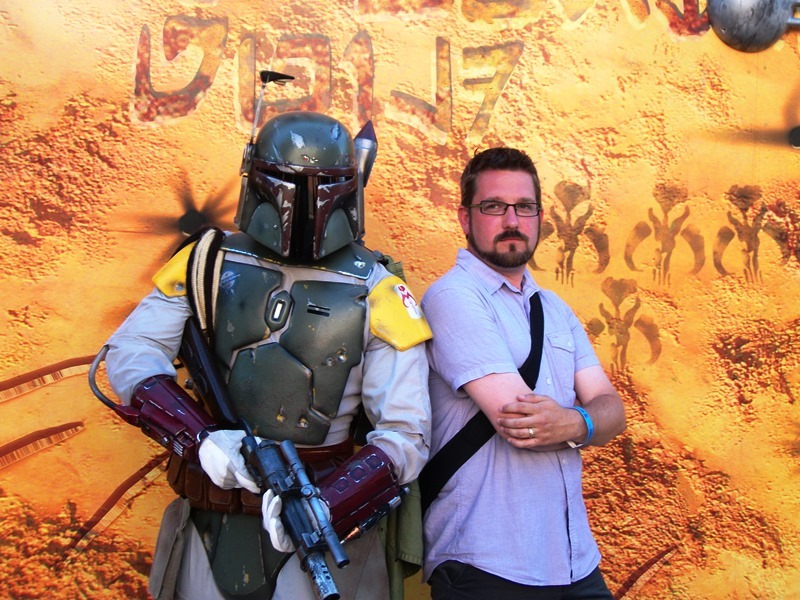 Is this the week when they announce that large tracts of the park will be dedicated to Pixar or Star Wars? Will the name change finally be announced? What other plans are awaiting a park with so much potential that has seen so many closures in the past year? All of these are great questions, and answers I’m waiting impatiently for just like the park’s most fervent supporters. But I want to throw out an idea for something in the park that is currently open, but is woefully dated, and has the perfect modern counterpart. Obviously I am talking about the Honey, I Shrunk the Kids Movie Set Adventure. 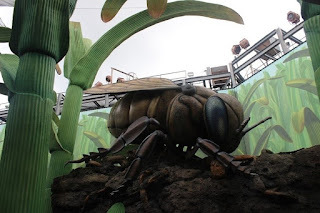 Based off of the 1989 movie, Honey, I Shrunk the Kids, the attraction is a playground built around small objects in gigantic proportions, as if the guests have been shrunken down to the size of an insect. The area, found right off of New York Street, includes a leaky Super Soaker and water hose, spider web climbing equipment, a roll of film (do kids even know what this is anymore?) turned slide, and of course critters, including an ant, bee, and a dog’s nose. There’s a lot here to play with, and there are always fair sized crowds working their way through the oversized backyard. Let’s be realistic for a moment though. Honey, I Shrunk the Kids Movie Set Adventure is based off of a movie that is almost 30 years old. Disney hasn’t released the film to DVD, Blu-ray, or iTunes with any amount of fanfare calling attention to the film, which means it’s likely that kids don’t even know the source material. 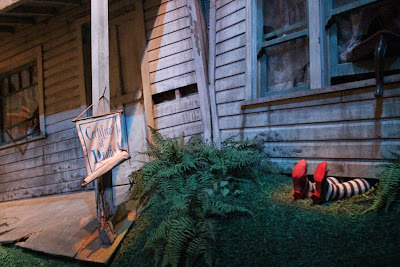 Walt Disney World’s other attraction based off of the property, the 3D film Honey, I Shrunk the Audience, closed in 2010 over in Epcot’s Magic Eye Theater and I don’t foresee it making a return anytime soon. 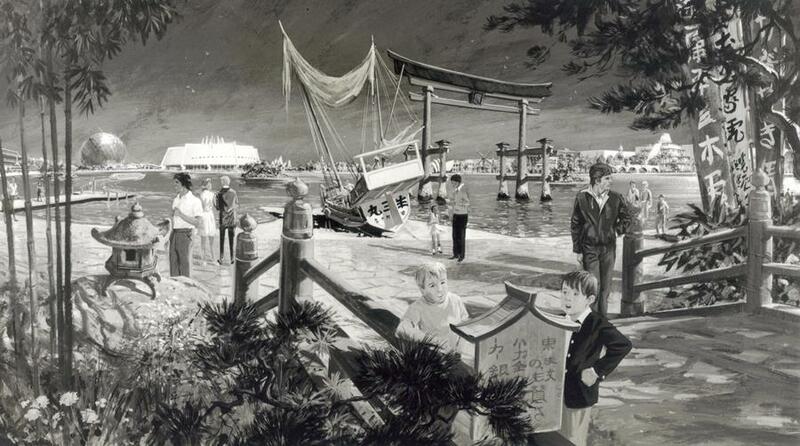 As much as I love Honey, I Shrunk the Kids myself, it is dated and the play area could use an update. 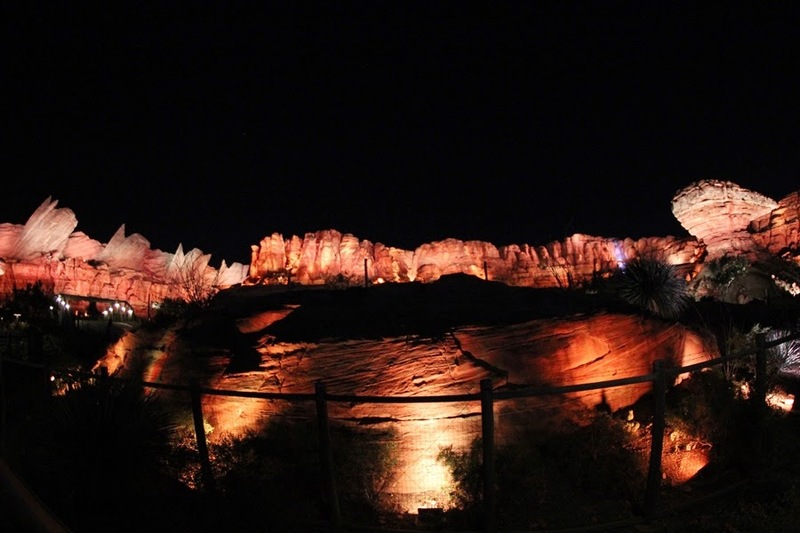 We’ve already said that the Movie Set Adventure is well attended, which is likely why it hasn’t seen a change yet. There’s no need to pour money into something that isn’t broken. Kids will play in a world of gigantic Play-Doh and oatmeal cream pies any day, but what if right now is the perfect time for refreshing the play area with new life? If you haven’t already figured it out, I am talking about Ant-Man. A small in stature, big in heart superhero that doesn’t already have a home down the street at Universal’s Islands of Adventure, but could be the answer to getting more Marvel into Walt Disney World. 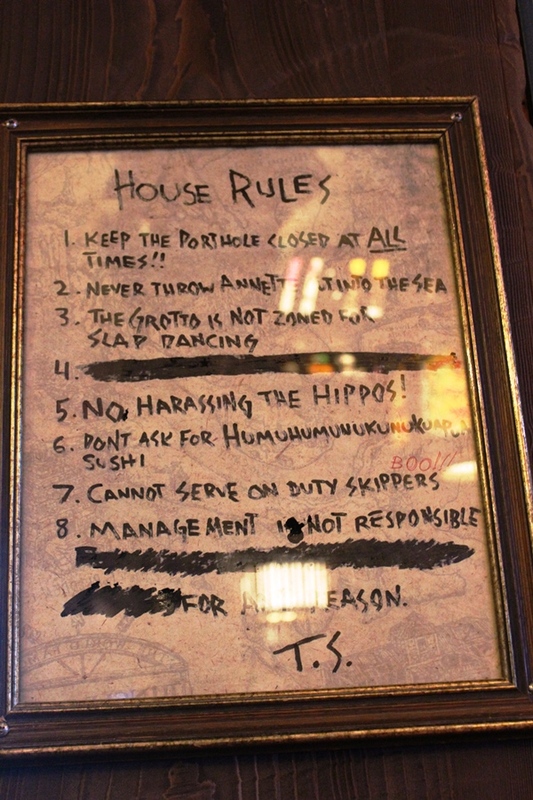 This wouldn’t require a gigantic amount of overhaul. The backyard setting still works as it was the place where Ant-Man’s Scott Lang did his training in the recently released movie. Let’s add in a wider selection of ants showing off their capabilities, an ant bridge structure, a couple of crazy ants that could make an electrical spark noise and a burst of air to make it seem like there was a shock, a photo-op with Anthony, and the area is in business. Throw in some oversized props for tie-in and equipment, maybe a Thomas the Train kids can climb on, lawn gnome who has toppled over and whose hat could be a slide, a sugar cube or two or three for stairs and climbing, the ants have already given us the tunnels, and the Ant-Man Movie Set Adventure is in business. 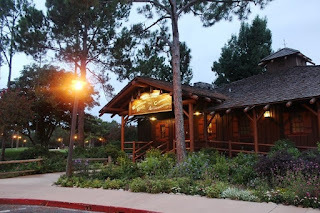 There will likely be a ton of park news coming out this week, and there are some major headliners in the works to be sure, but there are some little pieces that could really shine too. Maybe a play area isn’t worthy of an announcement on the D23 Expo stage, it might not even be in the cards for an update, let alone one that includes Ant-Man, but it doesn’t mean that it isn’t worth it. 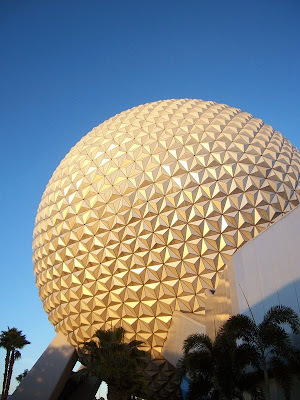 And it doesn’t mean that this isn’t the perfect time to bring a little Marvel into Walt Disney World’s own backyard. If you’ve hung around the Gazette long enough, you know we don’t do your typical trip report when we return back to our main office. Instead, we like to highlight a few positives and call attention to a few areas that are in need of, shall we say, an improvement or refurbishment. We call it The Good, The Bad, The Ugly, and The Magical. It’s been a while since we hit Walt Disney World in the high summer season, and it gave us some new and unique perspectives. So let’s see what we found! Our first Cast Member interaction of the trip was far and away the best of the trip, and deserves some recognition. Corey was the Cast Member who walked us through registration at Fort Wilderness. On a typical trip this would have been a very brief, “yes, we know the drill” process. On this trip, however, there were a lot of intangibles, questions, additions, and curveballs that my traveling party had to throw at him. Corey handled each one with insight, expertise, and enough humor to keep the natives from getting restless. I’m not sure exactly how much of his time we ate up, but I know that he made it fly by and should be held up as an example of how to create an awesome beginning to any guest’s Walt Disney World adventure! I wanted to chalk this up to the fact that it was midsummer and everyone and their cousins were visiting the parks. I wanted to, but I just can’t. Fastpass lines that take more time than the posted wait time for the Stand-By line are just unacceptable. This seems to become a problem as you get later into the afternoon and evenings than in the early morning, and I do understand that Fastpass is only meant to give guests a line that is “little to no wait,” not a walk-on. 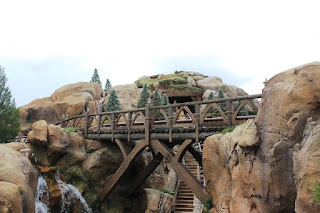 When you have to have Cast Members out with signs at the end of a line saying that this is where the Fastpass line starts, and I’m talking a Cast Member on the Splash Mountain bridge for Big Thunder Mountain Railroad, there is a problem. Since I can’t in good faith chalk it up to midsummer vacationers, let’s hope that this is just a bug in the new MyMagic+ system that will get worked out in time. Perhaps that should have read the lack of humanity. The last week of July saw crowds I rarely see in the Magic Kingdom, although the other parks seemed to be about what I expected. The sea of people filled walkways from wall to wall leaving barely any room to breathe, but I generally find at Walt Disney World most people know that everyone is trying their best to have a good time and there is a certain level of respect and camaraderie that forms, especially in the longer lines. What I saw last week truly turned my stomach. Fighting, yelling, running into with strollers, pushing and cutting through lines when there was no one they were trying to reach, and more was enough for me to be ashamed that these were my fellow vacationers. There were a few bright spots, but they were few and far between and most often left me observing attitudes akin to “what’s mine is mine and what’s yours is mine.” It was disgraceful, and I hope it was only a one-time event that came out of high crowds, hot temperatures, and a ton of rain. 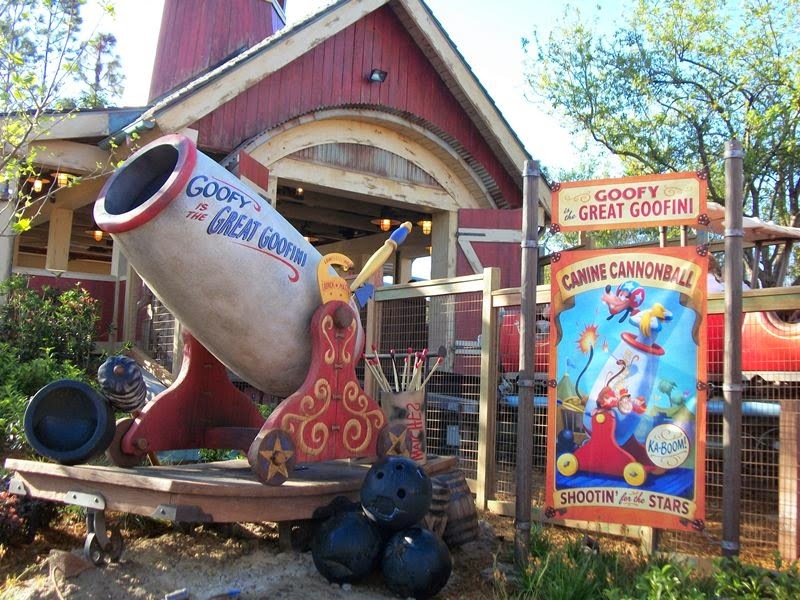 The Magical – Best On-Ride Photo/Video Ever! Okay, I’m going to leave you with a great story to brighten your day, although I’m not sharing the picture to prove it. Fastpasses for the Seven Dwarfs Mine Train are at a premium, but I was able to book a set for the first afternoon of our trip. My father groused about the attraction all day. It isn’t fast enough. It’s not really a rollercoaster. It’s too short. These lines and complaint like them were on a repeat loop all day. That night while we are all were reliving our highlight of the day I pulled up all of our PhotoPass photos. There, in all of its glory, was our on-ride photo. Front and center is my dad, reaching behind his head, trying to catch the hat that is mid-flight from coming off. The video from the attraction is even better, showing the entire scene play out as he goes from realization, to panicked grab, to the hat disappearing. We couldn’t believe it, we were all in tears we were laughing so hard. Suffice it to say, this photo is on its way to live at my house in a place of infamy. It just goes to show you, you grump at Walt Disney World and Walt Disney World will grump at you! 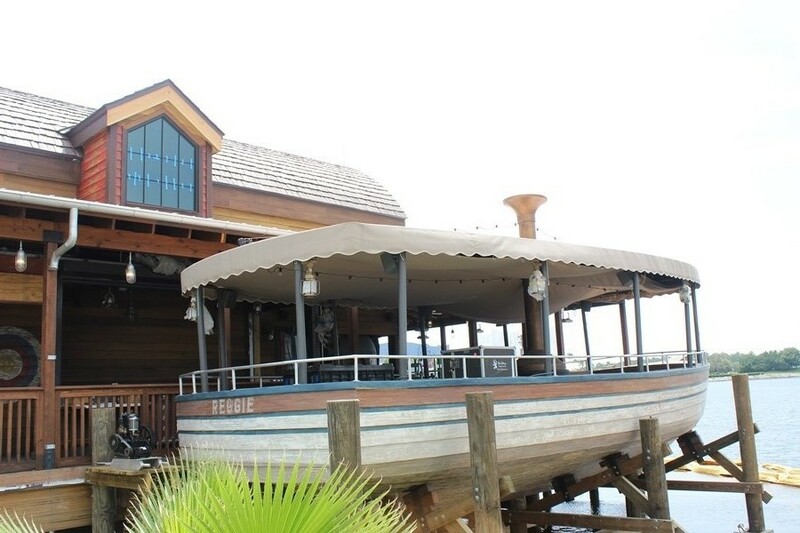 Even though Jock Lindsey’s Hangar Bar isn’t slated to open until sometime this fall, it doesn’t mean we can start picking the place apart looking for details to talk about, right? As it turns out, if you take an interest in the construction from all the vantage points available in Downtown Disney/Disney Springs right now, you’ll be able to find this little beauty. One, utilizing vehicles as dining locations isn’t anything new. Two, that being said, this river steamer is a beauty and we are saying that even before it’s entirely completed. Three, the real heart of what we’re looking for, the name of the boat is Reggie. We all know who Reggie is, right? For those of you needing a little Jock Lindsey refresher, he was the pilot of the seaplane that Indy uses to escape during the opening sequence of Raiders of the Lost Ark. Once onboard the plane, Dr. Jones finds that he isn’t the only passenger in his seat. As it turns out, Jock has a pet boa constrictor that he regards as harmless while Indy is absolutely terrified. That snake was named Reggie. It looks like Reggie had a warm spot in Jock’s heart. Quick fun fact, Reggie has always been listed as a boa constrictor in Indiana Jones lore, but the snake that was utilized on screen in Raiders was actually a Burmese Python. 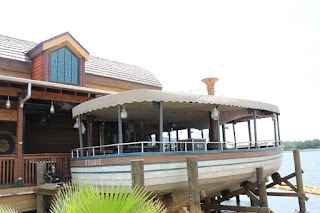 All in all, this isn’t a totally unexpected find and it certainly isn’t going to be the most beloved find once Jock Lindsey’s Hangar Bar opens, but it is a nice treat to have during this phase of the construction. I can’t wait to see what else the place has in store for us! There are many places in Walt Disney World that have seasonal bites and meals, entrees and treats that depend on the availability of the freshest ingredients or that change with the wants and needs of guests throughout the various seasons. 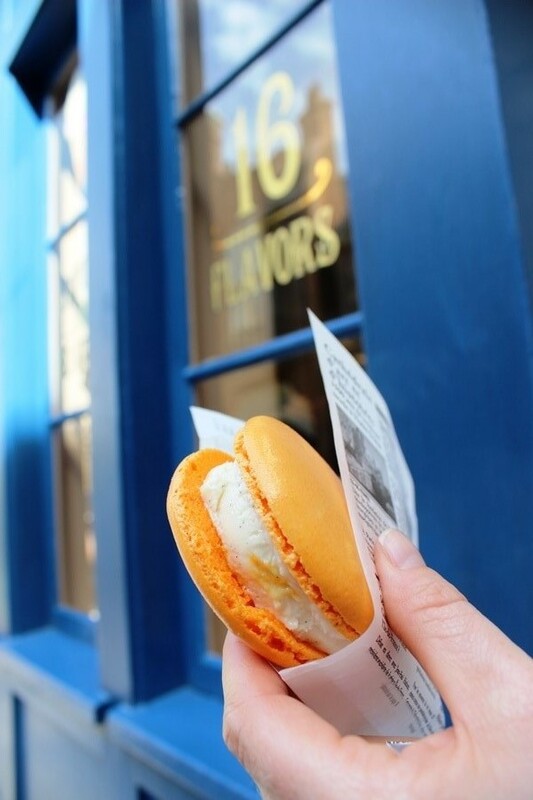 One place that does this better than any is L’Artisan Des Glaces in Epcot’s France Pavilion where flavors come and go with the seasons and one of their two macaron ice cream sandwiches is reserved for a limited time specialty! Released on Friday, July 31, the current macaron sandwich is Peaches and Cream. The two macarons that comprise the sandwich are a deep orange, tinged to the peach side, obviously. There is a hint of peach flavor in the macarons. Remember, these are French macarons, not coconut, so there is no blending or competing flavors. Just as you would expect from the light French cookies, the macarons are crispy on the outside and chewy on the inside. On the ice cream side of things, it is a creamy vanilla with bits of peaches worked in. When paired with the macarons, there is a wonderful mingling of textures and temperatures between the airy macarons at room temperature and cool, velvety ice cream. The macaron ice cream sandwiches from L’Artisan Des Glaces aren’t as big as some of the other ice cream sandwiches found throughout Walt Disney World. They are the perfect size for an afternoon snack and filled with some of the highest quality ingredients of any ice cream bite in the resort. Head out and grab one of the Peaches and Cream macarons while they’re hot, or rather cold! They’re sure to be gone in a flash!